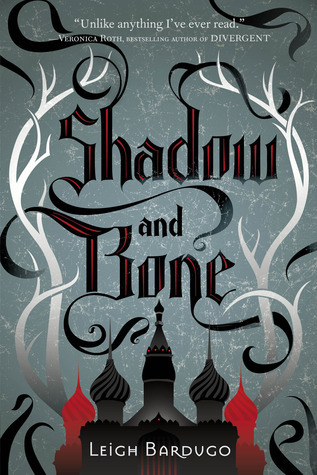 SHADOW AND BONE is the first novel in the young adult fantasy series collectively known as The Grisha Trilogy. Orphan Alina Starkov along with her best friend, Mal, have grown up in a world divided by a dark stretch of land known as The Fold, riddled with unseen horrors. When her work as assistant cartographer in the First Army forces Alina to join the crossing of the void, her unknown power saves everyone from certain death. Dragged away to a new life as one of the magical Grisha, her new-found power means the weight of the world now rests on her shoulders. With a distinctly Russian feel to most names and places, Alina’s world is an exploration of grand, fairytale castles and sprawling nature which are both vivid and wonderful. While these descriptions are detailed and relatively well written, the emphasis on ‘beauty’ is one of the main sticking points of this novel. Alina’s world felt superficial and shallow to me, as Bardugo’s insistence on force feeding the reader with ‘beautiful’ after ‘beautiful’ started to get old very, very quickly. This persistence wasn’t only irritating, but definitely helped to throw off the narrative in a big way too. While countless long, sprawling, chapters are dedicated to parties in the castle, gossiping and making Alina look ‘pretty’, life changing decisions and journeys are rushed and glossed over. This leaves little time for Alina to show any kind of inner turmoil, development or even basic characterisation. She takes her new life in her stride without a hint of any real emotion (aside from her belief she just simply isn’t pretty enough to be a Grisha!) yet kicks up a fuss over what colour robe she wants to wear. I mean, really? And it’s not just Alina who feels shallow and unbelievable. Mal somehow turns from the stereotypical brash, womanising soldier to a pathetic sap within a few pages. His words and actions towards the end of the book feel completely at odds with his original persona, making him seem entirely disingenuous. The plot itself was relatively interesting with unexpected twists and turns popping up often enough to keep me reading. The concepts and ideas working within SHADOW AND BONE could have made for a better read in the right hands, but Bardugo’s lack of characterisation and annoying obsession with aesthetics made working my way through some chapters a real chore. Although SIEGE AND STORM (The Grisha #2) was released earlier this year I don’t think I’ll be picking it up; while I’m intrigued to see Alina’s next move after a dramatic end to SHADOW AND BONE I’m not sure I can bring myself to trudge through another round.